CARLSBAD, Calif., July 23, 2018 /PRNewswire/ -- Many popular brands are currently present on school campuses, of all grade levels, nationwide. Everything from banners hanging on football field fences and fliers posted in the hallways, to free branded bookmarks. Numerous brands admit it is crucial for the future of their company to have a presence on school campuses. Schools often have hundreds of advertisements on their campuses, but what do they get out of it? By allowing this, schools are providing free advertising to brands that have multimillion-dollar advertising budgets, receiving nothing in return. SkoolLive is advocating for schools across the country by confronting these brands and demanding schools be compensated. SkoolLive provides schools with free digital interactive kiosks. Along with the kiosks, schools receive dedicated advocates who work closely with schools and brands. 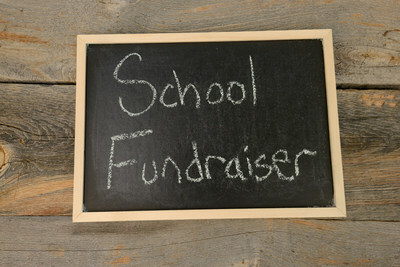 One of their main objectives is to ensure fair compensation which maximizes fundraising efforts. SkoolLive wants to educate schools on their worth and provide them with the additional revenue needed to improve campus life and save student programs. School budget cuts are all too common and teachers often spend hundreds or even thousands of dollars of their own money purchasing necessary classroom supplies, while brands are turning their heads. It's time for these brands to start paying schools what they deserve in return for access to their campus. Is it free to display a commercial during the Super Bowl or to post a billboard along the highway? Of course not, so why should schools be treated any differently? Every campus has worth. Each one is incredibly valuable, in more ways than one. Do not let brands take advantage of schools along with their staff and students any longer. Let SkoolLive fight for your school. For more information, visit www.skoollive.com.